Everyone knows about Asheville, but less discussed is the quaint gem of Hendersonville, between Greenville and Asheville. 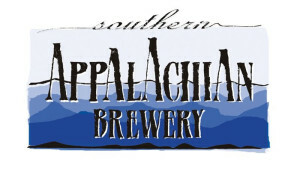 There are several local breweries of note in Henderson County, each detailed below. 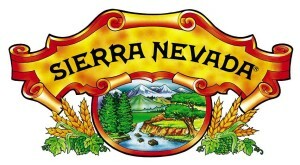 And, of course, there is the impressive Sierra Nevada complex, which is well worth a visit and a cornerstone of any Hendersonville brewery tour. Longtime friends Erik Weber and Zach Horn moved to Western North Carolina to pursue a new career as brewers and, eventually, live out their dream of opening their own brewery together. That dream is now a reality, as the two fathers launched their business in March 2016 with a family-friendly, community-centered venue serving such small-batch house brews as the quenchable flagship blonde ale to more adventurous offerings like the lemon ginger saison. When Bold Rock was searching for a second home to supplement production at its Chapel of Apple in beautiful rural Virginia, it couldn’t have found a better match than in equally beautiful Mills River, NC – home of apple-rich Henderson County. Check out the cider-making process through huge windows behind the spacious bar, or take in views of Mount Pisgah and the rolling farmland of Mills River while enjoying one of Bold Rock’s award-winning libations on the deck out back. We’re sure ‘excidered’ about it! Do you love animals? Owners Joe Dinan and Lisa McDonald sure do. So much so they’ve built their business around supporting animal welfare organizations such as the Humane Society, with a motto of “Craft Brews and Rescues.” The beer is delicious, too, and covers a wide array of styles for everyone, from monastic Belgian ales to coffee stouts. Call it what you like – “The Biltmore Estate of the Beer World,” “Malt Disney World” – simply put, Sierra Nevada’s stunning brewery and campus is one of the most beautiful and impressive breweries in the WORLD. It’s a sight to behold, from the forested approach road to the copper-clad brewing tanks to the world-class beers inside the Taproom and Restaurant. This is a must-do for even non-beer drinkers, and a bucket list item for all craft beer lovers. Hendersonville’s pioneering brewery turns 5 years old this spring at its popular tasting room and production brewery in Hendo’s Historic Seventh Avenue District. SAB, which paved the way for the other breweries now opening in town, is a popular hangout for locals and tourists who flock to the tasting room to enjoy a spacious outside area, food trucks and live music, and a lineup of beers that includes sours and other barrel-aged offerings, in addition to such classics as the Belgian Blonde and Copperhead Amber.